Paran Preschool | Charlottesville, VA - Welcome to Paran Preschool! 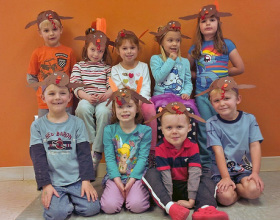 half-day preschool in Charlottesville, Virginia. using the contact information below. as they begin their journey to become lifelong learners. 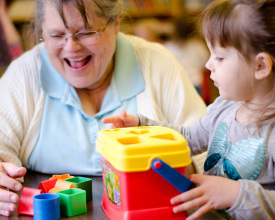 Preparing children for primary school by meeting their cognitive, social, emotional, language, and physical needs. Giving children predictability and structure while allowing for space for creativity and flexibility. Stimulating a child's growth through love, awareness, and appreciation for God's creation. Offering a Christian-based curriculum where differences in culture, ethnicity, gender, and ability are respected and valued. on Mondays, Wednesdays, and Fridays. at the discretion of the Director and depending on current enrollment levels. Q: Is Paran Preschool a full-day preschool and daycare? A: No, our preschool is a half-day, Christian faith-based preschool. Q: Where is Paran Preschool located? A: We're inside Restoration Church (UMC), just north of the airport Charlottesville, VA. For directions, click here or see the map at the bottom. Q: How old does my child need to be to enroll at Paran Preschool? 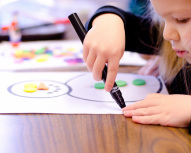 A: Generally, any child between the ages of 2-4 years old can enroll at our preschool (12-24 mos. for our MDO program.) See our current Policy Guide in the Enrollment section below for more information. Q: Does my toddler or 2 year old need to be potty trained to enroll in your MDO or 2-Day programs? A: No, potty training is not required! Q: What are your tuition and fees? A: Please download the Enrollment Form and Contract in the Enrollment section below for more information. A: Our school day begins at 9 am and ends at 12 noon. Our school year runs from September (after Labor Day) to May (before Memorial Day). Q: When do you begin accepting new enrollment applications? A: We accept new enrollments on a rolling basis. We still have a few places open for new students for the current school year. If you're new to the area, please drop by Paran for personalized tour of our facilities at Restoration Church (UMC) and to see our teachers in action. ​Marion joined Paran in January 2016 as our new director. Originally from Transylvania, Romania, Marion grew up most of her life in southern Germany. She and her family moved to C-Ville in August 2015. Before moving to the area, Marion served as the assistant director of an international student exchange program at the University of Tuebingen, as a student advisor in Tampa, Florida, and as a part-time teacher in Germany. Marion and her husband Josh have been married for 9 years and have two daughters, Lily and Mia. Her family enjoys road trips and the outdoors. Her favorite color is spring green because it represents a fresh start, life and new energy. Michelle has been teaching at Paran for 16 years. Originally from Springfield, IL, she and her husband have lived in C-Ville for 36 years. Michelle has two older children, and she holds a current nursing license. She loves working at Paran because she can combine her nursing background with her love for children. Her favorite color is yellow because it reminds her of sunshine. Pastor Greg loves the Lord! Greg was licensed as a local pastor to serve in the South Fluvanna Charge in 2012 and served there until June 2017. His passion for sharing the good news of forgiveness, healing, and eternal life drives a ministry of hope and faith. Special interests include revival and restoration of the Kingdom of God through preaching, teaching, and healing just like Jesus. His favorite quote is "Catch on fire with enthusiasm, and people will come for miles to watch you burn." (disclaimer - This may or may not come from John Wesley). Greg believes that church does not truly exist apart from the presence and power of the Holy Spirit. Greg and his wife, Gina, reside in Orange, Virginia and have four adult children. Greg's hobbies include outdoor adventure, working on old cars, and playing harmonica. Charissa joined Paran in September 2017. Originally from Destin FL, she and her family have been happily living in Charlottesville for 10 years. Charissa and her husband Mike have been married for 15 years and have two daughters, Olivia and Kate. 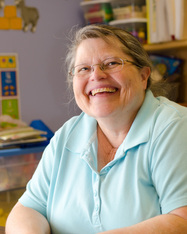 It is a joy for her to work at Paran as she loves providing a warm, safe atmosphere for children to learn and play. Her favorite colors are blue and yellow because they remind her of sunny days spent at the beach. Tabitha has been teaching at Paran for 8 years. As part of a military family, she has lived in Florida, Italy, and Virginia, and has been in C-Ville for 12 years. Tabitha has four children from age 22 down to 10. She loves working at Paran because she knows that the children are loved, feel safe, and learn what they need to know for kindergarten. Her favorite colors are blue and green (she can't pick just one) because she likes to keep her options open. An Ohio native, Pam moved to Tennessee for college. There she met her husband Robert. They have four children, Robbie, Patrick, Hannah and Hailey. They moved to Virginia in 2002 to own and operate Roto-Rooter plumbing company. An accounting major, Pam ran the office while Robert supervised the plumbing. Pam decided to follow her heart and work with children and joined Paran Preschool in September 2017. Children are her joy as you can see every morning by the smile on her face. Pam loves to sing in church, shop, camp and go to the beach. Her favorite color is yellow. 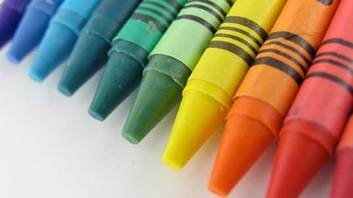 The color of sunshine. Vicki joined Paran in September of 2016. She grew up in Illinois, but has lived in Virginia for the past 14 years. She was formerly a 4th grade teacher, and has done part-time retail and childcare for the past 10 years. Vicki and her husband Tony have been married for 20 years and have two children, Kayla and Nathan, who both attended Paran! Vicki and her family enjoy taking daytrips, traveling to new places, and spending time with friends and family. Her favorite color is yellow because it reminds her of the bright and beautiful sunshine! Lindsey joined Paran in February of 2019. She has lived in Charlottesville all her life. Lindsey and her husband, Robert have been married 14 years and have one daughter and three sons. All three of her sons attending Paran Preschool. She holds a Bachelors Degree in Business Management from Bluefield College. Lindsey enjoys watching her boys play baseball, reading, and spending time with family. Her favorite colors are purple and yellow. 1. Contact our Director, Marion Hight, at 434.973.9077 to schedule a visit. 2. Visit Paran Preschool and tour our school location at Restoration Church (5145 Dickerson Road, Charlottesville, VA 22911). If your tour is during our school year, you can meet our staff too. Pick up a Paran Preschool Enrollment Packet (Policy Guide and Enrollment Form and Contract) and read all the enclosed information. Optional: Make arrangements with the Director to observe and visit the classroom and to engage in a more personal interview. 4. Mail completed Enrollment Form and Contract along with your annual non-refundable, enrollment fee and the last month’s (May) tuition payment to: Paran Preschool, 5145 Dickerson Road, Charlottesville, VA 22911. 5. During the Summer, you will receive an Email/Evite to attend our Back to School Open House near the end of August. This visit will be separate from the Annual Parent Orientation. 7. Bring your child to his or her first day of school during the week following Labor Day (school ends the Friday before Memorial Day)! and 2 minutes south of the Greene County line, just off of U.S. Route 29.
just past the GE campus. Just follow the church sign to find us.